In a career that has spanned almost half a century, impeded by illness and addiction, 70 year-old Johnny Cash has sold close to 60 million albums worldwide and continues to be a legendary voice of country, folk and rock music. On Sunday, April 7 at 9 PM ET/PT, Bravo presents a special two-hour retrospective on “The Man in Black” in Bravo Profiles: Johnny Cash. 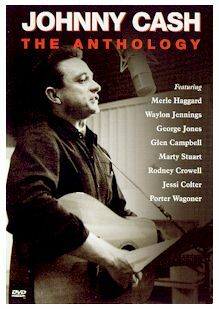 Through candid interviews with legends in their own right including George Jones, Judy Collins, Carl Perkins, Jerry Lee Lewis, Willie Nelson, Merle Haggard, Levon Helm, Kris Kristofferson, Billy Bob Thornton and one of the last interviews with the late Waylon Jennings, Bravo Profiles explores the legendary stature of Johnny Cash. “Johnny Cash’s life story is an epic story,” says Mark Collie. Marty Stuart describes him as the last true American folk hero. The show explores Johnny Cash’s unique ability to continually capture the American experience in song, making him relevant to generation after generation of singers. Spanning gospel, country, rock, folk and even to the grunge and alternative music, Johnny remains a timeless icon. Along with Sam Phillips and other producers at legendary Sun Records, Cash relives the early days of Nashville , touring with the Carter family, and revisits that legendary jam session with other Sun Records protégé’s Elvis Presley and Jerry Lee Lewis. Bravo Profiles: Johnny Cash takes you behind the scenes of his most famous early hits from “I Walk the Line” to “Ring of Fire” which were radical in there mixture of country sensibility, folk lyrics and rock beat. Johnny’s empathy with the underdog is explored through songs like “Drunken Ira Hayes” which Johnny wrote in honor of his Native American roots and the autobiographical “Man in Black” which was inspired by conversations with college students. 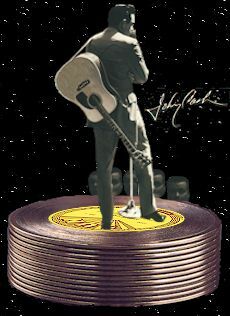 These concerns reached their full expression in Johnny’s concept albums like Orange Blossom Special and Johnny Cash From Folsom Prison. “Except for prisoners, the finest audience I ever played for were college students.” proclaims Cash. Profiles’ also looks at “the Boy Named Sue” Johnny’s first hit to reach #1 on both the country and rock charts. With footage from his ABC television show, Profiles looks into how Johnny used his own fame to help launch new talent. Some of history’s greatest folk talents including a young Bob Dylan, James Taylor, Joni Mitchell, Merle Haggard and Linda Ronstadt were guests on his show. Interviews with one-time guest Judy Collins and the original Highwayman (Kristofferson, Nelson and Jennings ) reveal just how influential Johnny was to new music trends sweeping the country in the 60s and 70s. Through all of his reoccurring struggles with addiction, a brush with death in 1988 from a serious case of pneumonia and his ongoing battle with illness associated with Shy-Drager disease, diagnosed in 1997, Johnny Cash is still going strong. Cash’s fruitful career has been rewarded with an induction into both the Country Music Hall of Fame and the Rock ‘N’ Roll Hall of Fame, an double honor he shares only with Elvis Presley. He was even awarded the Kennedy Center honors from President Clinton. With a new album, Essential Johnny Cash, currently in stores and tribute album in the works, Johnny Cash continues to be the influential voice of American culture that he has always been. 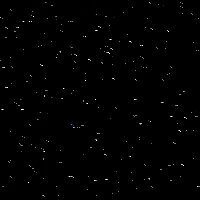 Though his music and lyrics speak volumes, there is more to “The Man in Black” than anyone knows. Now, in a special two-hour documentary this legendary musician is revealed, as Bravo Profiles Johnny Cash.